The defending champions are currently experiencing their worst run of form under Zinedine Zidane. Before today’s game, they found themselves sitting in 4th place, a whopping 11 points behind Barcelona. After losing two games in the space of a week, Real Madrid responded by putting three past Las Palmas at the Bernabéu. Goals from Casemiro, Marco Asensio and Isco gave Zidane’s men all three points, taking them to 3rd place. For Las Palmas, the defeat leaves them rooted in 19th place with only 2 wins in 11 games. Real’s shot-stopper put in a better performance than he did at Wembley, but it still may not satisfy the blood-thirsty Madrid fans. However, he can at least boast his second clean sheet since the start of October. Zinedine Zidane decided to re-shuffle things for the visit of Las Palmas and with that, the ever-reliable Nacho Fernandez was deployed at right-back. Although not technically gifted, the Spaniard’s willingness to support the attack gave Las Palmas several problems as he continuously overloaded their right flank. The 20-year-old was given his first league start of the season against Las Palmas and he showcased his immaturity. The youngster at times was out of position and rash in his tackling, he also didn’t win one aerial. The Los Blancos captain was a calming presence alongside his new centre-back partner. Las Palmas looked a threat on the counter-attack, but Ramos was there at all times to stop them. Marcelo was his normal busy self down the left flank, always looking to support the attack and get crosses into the box. The Brazilian successfully completed 94% of his passes. The German, calmly, but quickly spread possession from side to side throughout the game. He was the one feeding the runs of Fernandez and Marcelo, ensuring their width was capitalised on. The Brazilian’s positioning was all over the place but in the end, it was his 40th-minute header that set the ball in motion for Real Madrid. Madrid’s best player this season performed in the same way against Las Palmas, by being that creative spark in the final third. The Spaniard created 3 chances, completed 73 passes and scored 1 goal. In the 56th minute, the Spanish wonderkid reminded the world why he’s so highly rated by La Liga watchers. Asensio produced a half-volley from 30 yards out with such force and venom, that it nearly ripped the net apart. Overall, the 21-year-old had a good game, he successfully completed 3 take-ons and produced 65 accurate passes. Real’s no.9 has come under much scrutiny this season, his lack of goals has been cited as a clear indication of his decline in ability. The Frenchman responded to that criticism, by aimlessly walking around the final third with no real purpose. He added nothing to Real’s link-up play, neither did he look like scoring. His cameo was put to bed in the 74th minute as he was taken off for Lucas Vazquez. The closest the world’s best player came to scoring was when he curled a magnificent effort with his left foot onto the post. Besides that, the Ronaldo cut a frustrated figure up front as his poor goalscoring form continued. However, although he couldn’t score himself, the 32-year-old was doing his best to create chances for others. His hard work was eventually rewarded as he provided an amazing assist for Isco in the 74th minute. The holding midfielder came on for Casemiro in the 68th minute and instantly joined several attacks, even creating a chance for Cristiano Ronaldo. The Spaniard tried his best to make an impact, but his runs were ignored by others after he came on in the 75th minute. The young midfielder steadied the ship and protected his team’s clean sheet in the few minutes that he was deployed. Real Madrid want Dele Alli, Manchester United cool on Mesut Ozil, West Ham consider appointing David Moyes, and Spurs and Arsenal compete for Leon Goretzka. After a difficult start to their season, and having seen him in action during their 3-1 defeat last week, Real Madrid are interested in bringing Dele Alli to Spain. Alli, 21, could also be interesting other top clubs, according to Crystal Palace manager Roy Hodgson, who said, “I’m rather hoping he won’t be looking for such a move but there is no doubt that Real Madrid, Barcelona, and Bayern Munich have a big pull." That makes it the most triumphant occasion yet of the Pochettino era, qualifying for the knockout stages with two games to spare, and the damage for Madrid might have been even worse if Alli had not headed wide from a glorious opportunity to complete a hat-trick, with the score at 3-0. No matter. Alli had already struck in each half before Christian Eriksen’s breakaway goal put Spurs in dreamland and, at that stage, Madrid were heading for the kind of drubbing that a club with their haughty self-regard would consider an affront. 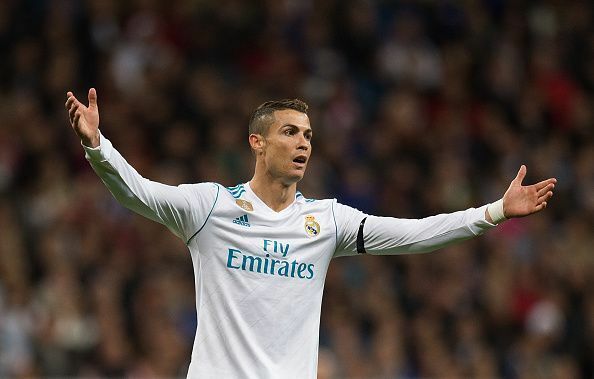 Ronaldo’s goal, 10 minutes from the end, changed the complexion a little but it would have needed an extraordinary feat of escapology to save Zidane’s team at that stage. And Spurs, frankly, are no longer a side with that kind of soft centre. Yet this was a fully merited victory. Harry Kane’s willingness to take on opponents and drive forwards in attacking positions made him a threat all evening. Alli’s contribution went way beyond his goals and it was also another fine night for Harry Winks. Kieran Trippier fully justified his selection ahead of Serge Aurier and Hugo Lloris showed again that he was a splendid goalkeeper, just as he had done in the Bernabéu. They had, after all, already put together a near-identical move earlier only for Alli to hang back when Trippier drilled the ball first-time across the six-yard area. Trippier’s determination to occupy attacking positions was a prominent feature all night and the next time he aimed a low centre into the box Alli made sure he reached the ball first to apply the decisive touch in front of Kiko Casilla, Madrid’s goalkeeper. Real Madrid should be looking for an exciting youngster such as Kylian Mbappe rather than spending €200 million on Harry Kane, says Steve McManaman. The reigning La Liga champions continue to be heavily linked with the prolific Tottenham striker, who has been billed as a natural successor to Cristiano Ronaldo in the Spanish capital. Kane’s form for Spurs and England has put him in the shop window, with a regular source of goals seeing him placed in a talent bracket alongside the world’s best. McManaman, though, feels that Real would be better advised signing a player with potential to unlock rather than paying over the odds for a proven performer. The former Real midfielder told Marca ahead of a European clash between Spurs and the Blancos at Wembley: "I would prefer [to sign] a young boy like Kylian Mbappe. "It is better to promote from within. "You need to pay €200 million for Kane and I do not understand those figures." While McManaman feels a big-money move for Kane makes little financial sense, he does believe that the 24-year-old would find it easy to settle in Spain. Few English players take the opportunity to leave the comforts of their homeland, but McManaman did during his playing days and was rewarded with over 150 appearances for Real as he collected two La Liga titles and a pair of Champions League crowns. He added: "In England the clubs are very professional and it is a great place to be. "Kane can stay in London because he is happy with his family. "But if he moved to Real Madrid, surely he wouldn’t have problems adapting. "Cristiano Ronaldo, Luka Modric and other players speak English and can help him. Madrid is also a beautiful city."